Please find below some very nice things that have been said about us. We so appreciate all of the kind words and gracious support from our patrons and the media. Thank you! 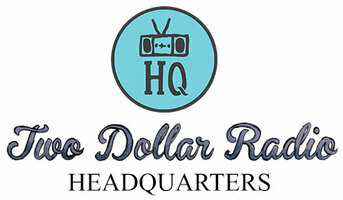 Psst: To check out the kind words written about our book publishing company, head on over to the "About Us" page on the Two Dollar Radio website. "Walking in, there was an overall calming vibe. 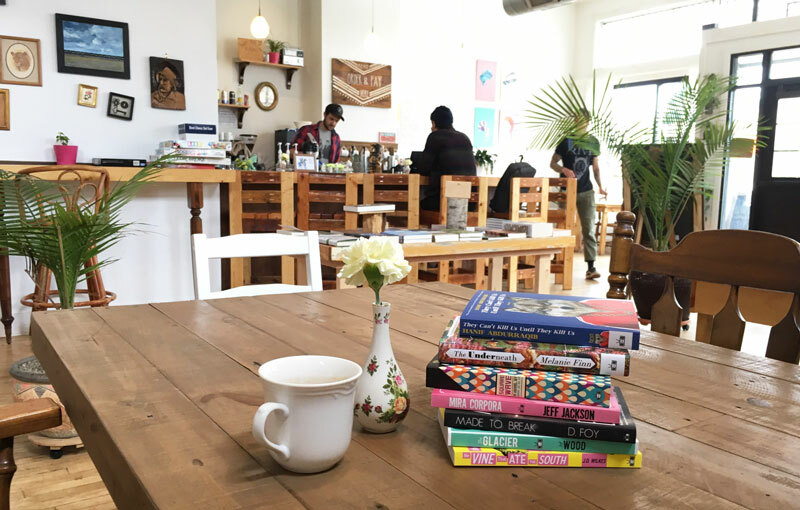 Two Dollar Radio HQ is the perfect place to grab a quick bite and relax.... Not only can you buy some bomb vegan food, but when you swing by the storefront, you can also support local writers!" 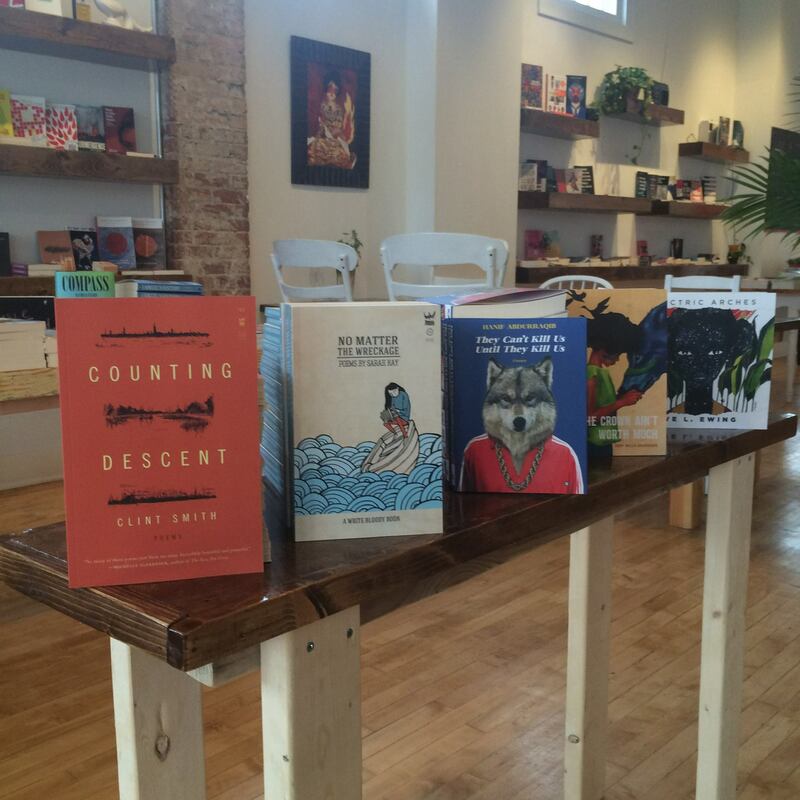 "Two Dollar Radio Headquarters has quickly become one of my favorite Columbus hot-spots... Visit for a wonderful selection of books, coffee or tea, and a bite to eat." 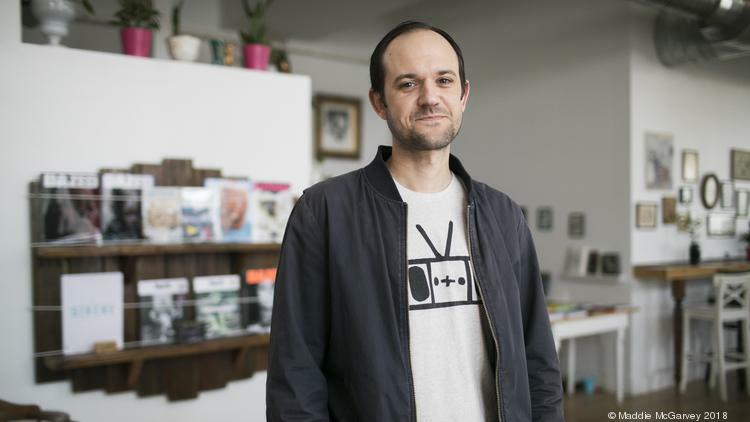 "Put on your fuzziest socks and warmest blanket scarf before you head over to Two Dollar Radio on the next cloudy Sunday morning. Whether you have to make a quick stop (get the breakfast burrito no matter what!!) or have time to spare, the friendly staff and welcoming atmosphere will start your day in the best way. 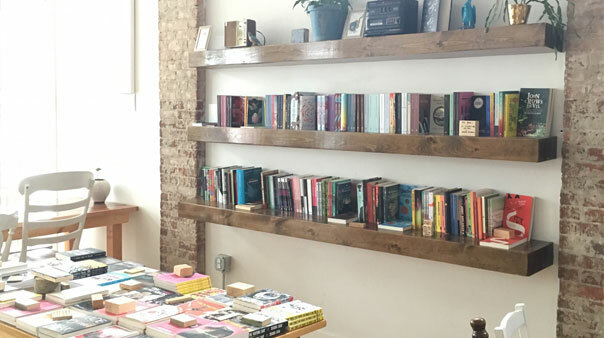 The cool part about Two Dollar Radio is that it’s also a full service bookstore, bar, coffee shop, and vegan restaurant. So what I’m really saying is if you get here on a snowy February weekend morning, 2DR has the appropriate provisions to last you ALL DAY. Park it and enjoy it. Buy a book and read it from cover to cover. Do what you want, but I guarantee you’ll enjoy yourself and come back again just to have another cup of that lavender latte." 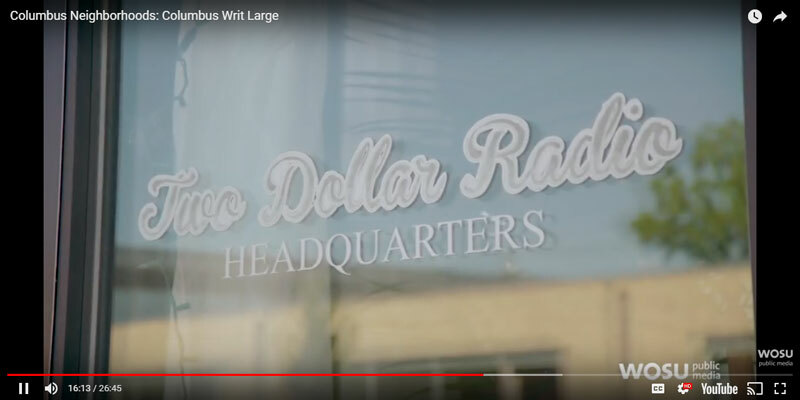 "...That reminds me of Two Dollar Radio Headquarters on Parsons. They have this cute little kids' corner with books and little toys and little places for them to sit. I had no idea that was in there. 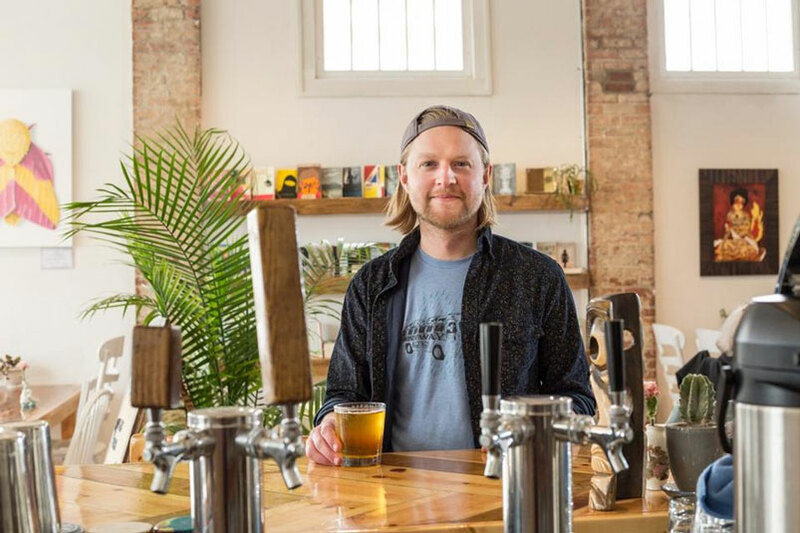 It's a cool coffeeshop and it's a vegan restaurant as well." 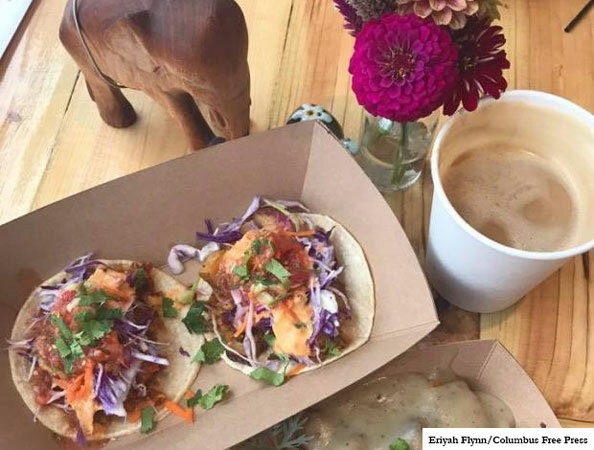 "It’s no secret that the ultra-hipster city of Columbus is a mecca of vegan, vegetarian, gluten-free, dairy-free, you-name-it eats. Before we start into it, let’s get one thing straight: even if you don’t fit into any of these categories (ahem, me!) that doesn’t mean you won’t enjoy any of these restaurants. 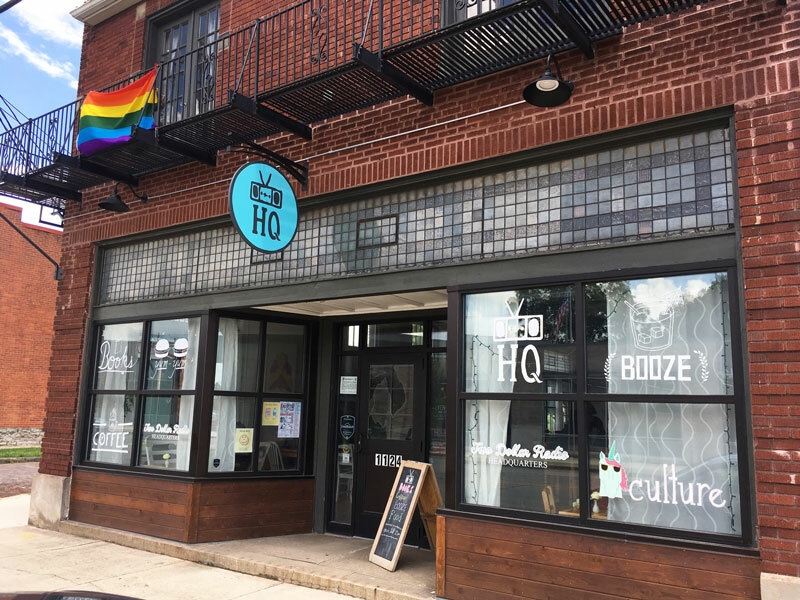 The owners of every one of the plant-based restaurants in my list work hard to make sure their offerings are unique, sustainable, and above all, tasty... A jack of trades, Two Dollar Radio Headquarters has it all: bookstore, bar, vegan café, and event space. 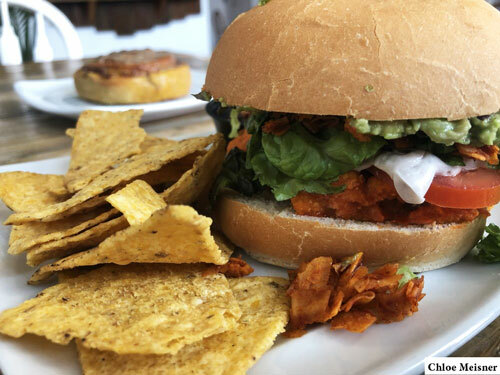 The café’s menu is made up of entirely vegan dishes using nut cheeses, pizza dough, plant-based meats, and sauces that are made fresh in-house. One of my favorites at lunch or dinnertime is the very popular “Mexican Lasagna.” Looking for a good plant-based brunch? Stop by for a Fried Chick’n & Waffle Sammy—all vegan." 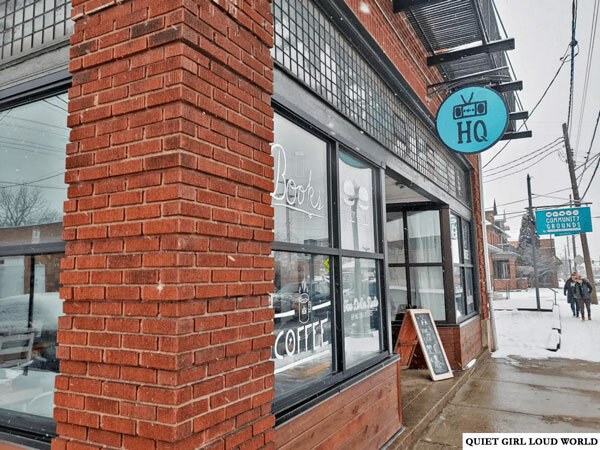 "Local expert on everything Columbus, Bryant Miller, caught us up with the latest businesses opening on the southside of Columbus." 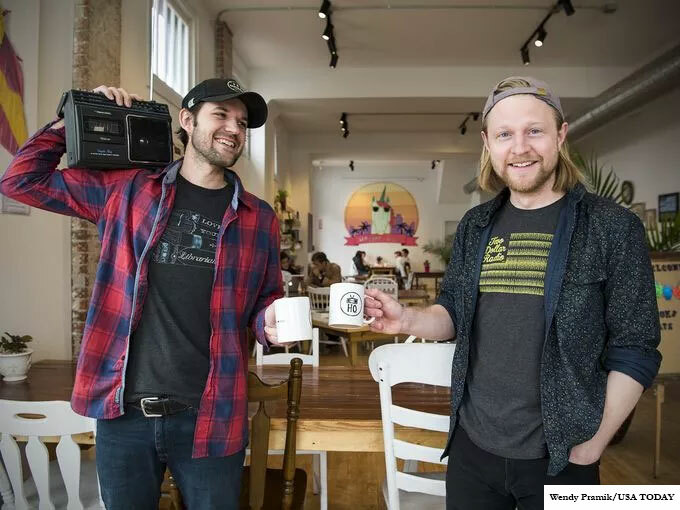 "...The bookstore features books and periodicals and was designed by Obenauf, Wood-Obenauf and Two Dollar Radio's editorial and marketing assistant Brett Gregory. 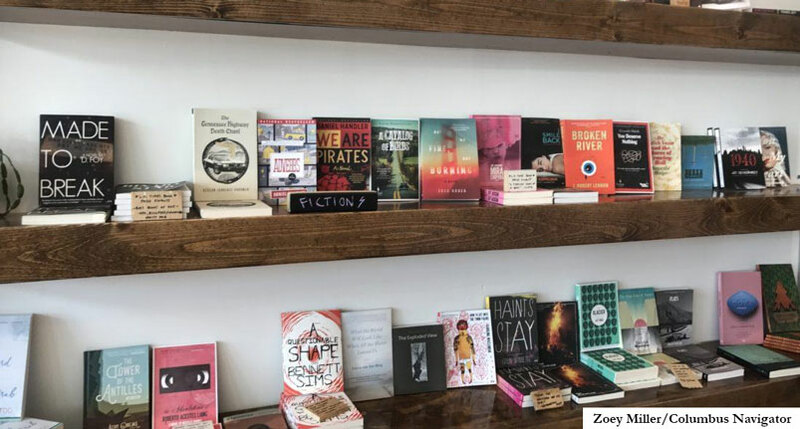 The trio also made many of the fixtures, including the bar, bar stools, shelves and tables, by hand..."
"...Indie press Two Dollar Radio is opening a bookstore in Columbus, Ohio, that will carry a selection of its own titles, as well as books published by fellow indie publishers..."